The right to be fully informed, orally and in writing, of his/her rights as a resident in the facility, prior to or upon admission, in the language that he/she understands, including the rules of the facility pertaining to the resident's responsibilities and conduct and be provided with updates when such rights are changed. The right of freedom of choice to make their own decisions, to exercise their rights as a citizen of the United States and the State of Alabama, including the right to vote. The right to be informed of services available, prior to or upon admission, in the facility and related charges for such services and any charges for services not covered under medicare, Medicaid, private insurance carriers or by the facility's basic per diem charge including eligibility requirements and how to apply for coverage. The right to inspect his/her records upon request. the right to confidentiality of personal and clinical information. The right to send and receive mail unopened and to have access to the private use of a telephone. The right to receive visitors at any reasonable hour, and by arrangements at other times, and privacy during visits by their spouse, relatives, friends, or share a room with their spouse, when married residents live in the same facility. The right to immediate access and contact of any representative of the state, resident advocate, or their personal physician or information on these agencies without fear of reprisal. The right to immediate access to their family or relatives or any entity or individual that provides health, social, legal, or other services to the resident, subject to the resident's right to deny or withdraw consent to such visits at any time. The right to permit representatives of the state ombudsman (with the written consent of the resident, or the resident's legal representative, and consistent with state law), to examine a resident's clinical record. The right to be treated fairly, without discrimination, with kindness, dignity and respect; to have a meaningful life with privacy and to be free of fear while living in a safe, clean and comfortable homelike environment. The right to choose a personal attending physician and be fully informed about their well being. The right to participate in planning their care and treatment or refusal of treatment, including experimental research and the right to formulate an advance medical directive. The right to self-administer drugs if an interdisciplinary team has determined this practice is safe. The right to be free from physical, psychological or sexual abuse or punishment, and/or involuntary seclusion and to be free from any physical or chemical restraints imposed for purposes of discipline or convenience and not required to treat the resident's medical symptoms. The right to privacy concerning accommodations and medical treatment and to reside and receive services, reasonable accommodations of individual needs and preferences, except where the health or safety of the individual or other residents would be endangered. The right to receive notice before the room or roommate of the resident is changed and reason why, or to refuse such a change under certain circumstances. 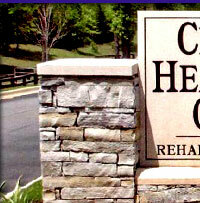 The right to voice grievances by an accessible grievance procedure with respect to treatment or care that is (or fails to be) furnished, without discrimination or reprisal for voicing the grievance(s) and the right to prompt efforts by the facility to resolve grievances the resident may have, including those with respect to the behavior of other residents. The right to organize and participate in resident groups in the facility including Resident council and to have their family to meet in the facility with the families of the other residents; to participate in social, religious and community activities that do not interfere with the rights of other residents in the facility. The right to information on Federal, State and local agencies concerned with the enforcement of skilled rules; the right to examine the results of the most recent survey (inspection) of the facility conducted by State of Federal agencies with respect to the facility and any plan of correction in effort with respect to the facility. The right to retain and use personal possessions and appropriate clothing, within space allocated by the facility, unless to do so would infringe upon the rights or security of other residents, or violate current health and safety codes. The right not to perform services for the facility unless you desire to do so and it is documented in the plan of care. The right to manage their financial affairs and have their money and property protected. The right to basic procedural safeguards on admission, transfer and discharge, and to be properly notified in advance. The right to be informed in writing of the bed-hold policy for temporary absences from the facility. The right to be free from interference, coercion, discrimination or reprisal from the facility in exercising these rights.